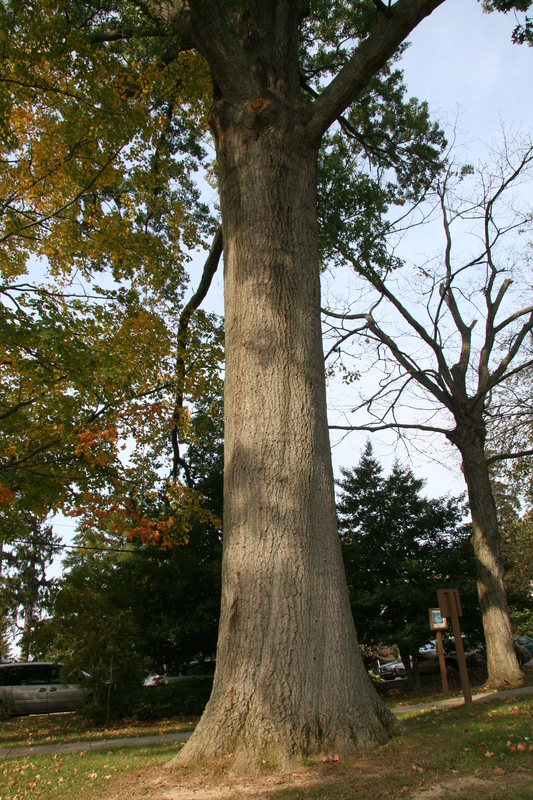 Scarlet oak is a native deciduous tree that can often be found on dry, sandy, acidic soils. The scarlet oak has comparatively small branches that spread to form a rather narrow, open, irregular crown. The acorn is one-half to 1 inch long, oval, and enclosed from one-third to one-half of its length in a deep, bowl-like cup. The tree is often planted as an ornamental because of its brilliant fall color. Scarlet oak leaves are 5 to 8 inches long similar to the northern red oak, but have 5 to 9 pointed lobes deeply separated by wide sinuses that extend almost to the midrib. The leaves turn a brilliant scarlet in fall.